The development of Xenonauts 2 has reached a major milestone today, as we are releasing our first Closed Beta build to our Kickstarter backers. This is the first time anyone outside the dev team has played a build of the game that contains both the ground combat and the strategy layer linked together (although the first build is intentionally *very* limited in content). This closed beta is only open to Kickstarter backers who have backed the game at the £25+ tiers. If you're one of those backers, Humble will send you either a Steam or GOG key at roughly 11AM PST today (28th November). If you're not a Kickstarter backer, I'm afraid you won't be able to buy the game until our Early Access launch around March 2019 - we're not allowed to sell those private beta keys. Please be aware that the primary purpose of the closed beta is testing. The early beta builds are not going to be fun to play; they have deliberately limited content and will probably have quite a few issues. If you want a fun and playable experience I recommend you wait until the Early Access launch in just over three months! Finally, please don't stream this build - the game is not yet ready to be shown to the public, and even if your viewers were impressed they can't buy the game yet. Once the game has released into Early Access you'll be able to stream it without any restrictions! Does the game work properly on your computer? How is performance on the different graphics settings? Do the graphics / UI display correctly on your monitor? Are you getting any crashes? Do all the strategy game systems work properly? e.g. Do your planes intercept and shoot down UFOs properly? Does building structures and managing staff on the Base screen work properly? Do the dummy research / engineering projects work as you'd expect? Is the ground combat <> strategy link transferring the data correctly? e.g. Are your soldiers bringing the correct equipment to battle? 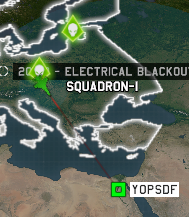 Is the correct ground combat map being loaded, with the correct aliens and UFO and civilians etc? Are the correct items being recovered from combat? Is soldier experience gain / death in combat being correctly brought back to strategy? Does saving and loading work properly? Are any parts of the UI confusing or difficult to use? Is there anything that's particularly annoying and ruins the experience for you? We've simply not had time to work on the game balance or spend much time iterating and improving our new mechanics (e.g. 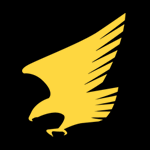 the Air Combat and the Base system), so please wait a few more builds before giving us feedback on those topics. We'll be asking your opinions and suggestions on the new stuff once we've had time to develop it a bit further. You should also assume that most of the re-used art you see from the first Xenonauts is placeholder art. We're going to start adding the missing research art during the closed beta and there will be a final UI and art pass on the game during Early Access when the mechanics are more settled and we know the final UI layouts for the various screens. Crash bugs: if you've got Error Reports enabled in-game, we'll get some useful info on what went wrong. But it also helps if you can tell us in this thread what you were doing that might have caused the crash. We're not sure exactly when the next build is going to be, as it's somewhat dependent on how broken Beta Build V1 is - if there's major crash bugs in the game we'll probably try and hotfix them within a day or two, whereas anything else is likely to be rolled into a larger build that will be coming in around two weeks from today! The bug reports we recieved were so useful we released a hotfix the following day that addressed a bunch of crashes, changelog here. We now have a dedicated sub-forum for bug reports, so please post any bugs in there! Please read the bug formatting rules first though - it makes it much easier for everyone to see if a bug has already been reported! Not going to lie, I was planning on streaming this, but since you asked I will refrain from doing so. Quick question though: are you okay with a video being made to talk about the different features such as air combat? Now, this wouldn't really be showing off to much, but just be more of an updated version of the video you had of the air combat a while ago. If you don't want this either that's cool. I'm probably too lazy to actual record and then edit that anyways so you don't have much to worry about there. Anyways, really looking forward to this coming out in a bit. Freed my schedule today for this. Hopefully I can provide some helpful feedback. OK, I will respect the no streaming. Is it okay to make one youtube video clearly labed as "first look at early closed pre-beta build"? Thanks for respecting our wishes, guys! @Betuor - if you're not showing gameplay footage of the game, you could make a video talking about your experience playing it. But honestly it'd probably be better to wait a few builds until we do another pass on the air combat, it's still fairly primitive right now and the changes have not fully taken shape. @Jan - sorry, we'd prefer it if you didn't make videos at all. We might relax the rules after a few builds if things are going well but right now we'd rather play it safe. OK, I will not release such video. Until you give it a go. First mission was a success. Only one casualty.. however - the game crashed as the team was heading back to base (ie not "doing" anything that should have caused it). 1 st crash of the day! Can't say I'm completely surprised! Was the crash at the end of the combat or was it back on the Geoscape with the Skyranger actually travelling back to base? CTD while in the geoscape. When it occured, I never managed to catch an UFO (they are faster than my unique plane). The plane was returning to base, and some UFOs were moving out of radar range. CTD during the first UFO turn in air-combat. The UFO shot a missile on me, and it CTD when the missile hit my plane. Reloaded, CTD again precisely at the same moment. I used auto-resolve to skip this crash. CTD when sending my men to a crashed-UFO, after clicking "Launch mission", as soon as the plane arrives on the crash-site. I did this three times in a row. Impossible to start the mission. Currently, I am not able to start a mission. I'll have to stop my testing here. The issues above seems to be related to my dual-screens. The screen resolutions change depending on the screen I choose, but they still are not the right resolutions. Base name choice: Selected text (with shift+arrows, or CTRL+A) doesn't appear but seems to work. The cursor moves up a few pixels when the inputbox is empty. Can't input latin characters (UTF-8) like "éèàç". Save: The inputbox to choose a save filename isn't obvious. I had to click everywhere to find it. When saving again, the name is empty, and I'm not sure it saved anything. 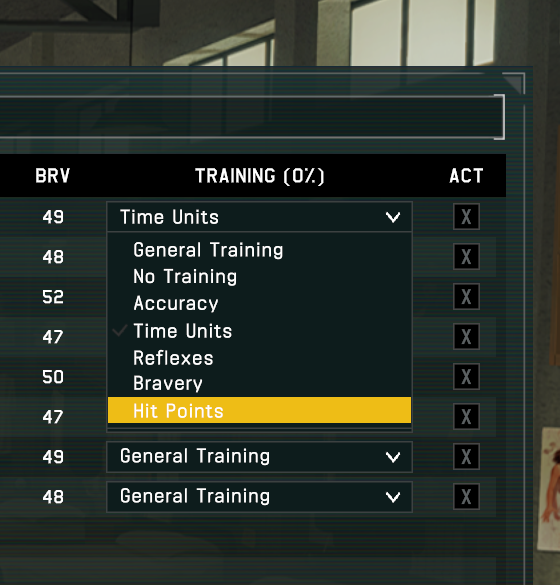 Armory: When renaming a soldier, the input appears beneath the rank "Prv. ", unreadable. A random name appears when the inputbox is empty. Armory: The "Assault" button, to change loadout, doesn't seem to work. Armory: When dragging an object with the mouse, it appears way off the mouse, as if there is a (X,Y) multiplier to know where to place the sprite under the mouse. This multiplier is wrong. This is only a graphical glitch, the UI works correctly based on the mouse position. The "unassigned" buttons for Research and Engineers are confusing. Can you recruit searchers at all? Where do we get the Backer Keys, don´t have get one so far after?! Not on Steam or E-Mail atm. Thanks, that's a very helpful post. Can I get a few more details on the crashes? When you say you've tried to fight a crash site three times and you get a CTD every time, was that three seperate UFOs shot down or just one and you loaded a save three times? With the CTD in the air combat, do you know if you were fighting a Probe or a Scout UFO? As I've tested the ground combat quite extensively and I've never had it crash on attempting to load of crash site, I'm guessing there's something unusual about your setup - which I'm guessing is your 21:9 resolution. Can you try running the game windowed in a 16:9 resolution like 1920x1080 and see if the ground combat loads up? The "bar" effect in your screenshot is basically because our existing background art needs to be repainted to support 21:9 resolutions. I'll bump that up my priority list as I'll admit I'd somewhat forgotten about it. In the group with 3 soldiers the bottom left soldier (women) was shot dead when walking into overwatch. She lost her gun, was still selected as soldier with 0 hp. 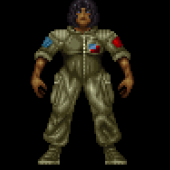 I did afterwards select the soldier right to here (blond hair) and was not able to click / select her again but she is still standing. No change in the next round. She is still standing. I've experienced similar problem as OzoneGrif when renaming soldier in the armory. First the old name shrinks weirdly under the rank, and then when you are actualy changing the name the letter are going to the left outside the screen. Next when you validate the new name it goes similarly out of bounds under the soldiers nation flag. You should have got one already, send to the email linked to your Kickstarter. If you've checked your spam etc and it's not there, send me a message on Kickstarter and I'll look into why you've not recieved anything! Hmm, yeah, I'm getting that too. I'll look into it. Thanks. Thanks. Yup, she's dead but hasn't played her death animation for some reason. I've seen it a couple of times this morning too and it seems specifically tied to overwatch fire so hopefully it won't be too hard to track down. Got it thanks. Haven´t looked at the Spam department, where it was in. It was the same UFO when I reloaded. I just retried to find another Probe, Air-combat, CTD. Find the Probe again, skip Air-combat, Launch mission, CTD. I tried to wait for a Scout, but the Geoscape CTD when using max-speed. Reload, found a Scout, Launch mission. CTD. Changed graphical settings to "fastest", disabled VSync, Windowed; Reload, Launch mission. CTD. I joined a save with this post. The UFO shots me, CTD on hit. EDIT: The Geoscape CTD always occurs the 8 January at midnight. Not so much a bug more a hit the old OCD, when you mouse over the Hangar window it only shows the lightened area of the smaller rooms. Mouse cursor and item are out of sync when you drag items, cursor was over the third belt slot, it works fine so as someone else said just looks like a small offset error somewhere for the visual part. Not sure how my pilot passed his flight exams, he clearly doesn't have the minimum IQ..
For some reason he thought the fastest way to the target was to go around the world in the opposite direction. Just sent the team out to attack a ground site and threw the Speed up to max which caused the helicopter to bounce around when it got to the site and not actually try landing until I reduced back down to normal time. I have had three crashes so far. The first was when I was breaching a very small UFO probe, with a soldier equipped with a shield. The shield got shot, and the game crashed. I had also blown up a wall of the UFO. The next crash occurred right after, as I launched the game for the second time. The third crash happened after a successful mission, on the return to base. Some models have some jagged edges on them, namely the human combatants. Resolution : 2160*1080 monitor native resolution not well supported, see attached screenshot "resolution"
Settings : Error reporting was disabled in the settings by default, even thought I let the the box checked. Settings : Applying changes should close the setting window, having to click the close cross is counter-intuitive. Production screen : The input boxes for choosing the number of goods should not be click only, being able to input directly a number or to be able to hold the click to increment fastest would be a good QoL improvement. 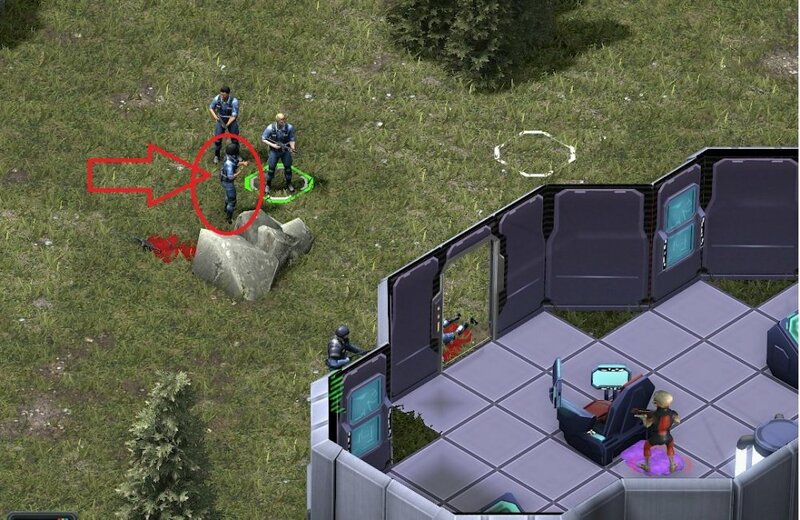 Recruiting : what does represent the small red bar, I thought the soldiers were injured. See 'recruit' screenshot. - Missing an input to quickly unassigned a soldier ? 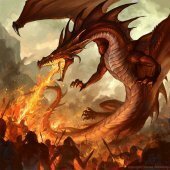 - No confirm on updating class / loadout is dangerous. - Having to drag & drop images of the weapons is tedious, adding a double clicking option would be good. - Clicking on the weapon / armour / secondary of a soldier should select the corresponding tab in the list. - Clicking next / previous soldier order is seemingly random => clicking next then previous should go back to the same soldier. Letters are jumbled upon clicking "rename". Name field is not empty and has to be emptied manually. Backspacing on the last letter lose the focus on the input, frustrating. You have to use the arrow key to go on position 0 and thenn use delete to delete the first letter. Geoscape : You are not forced to place the interceptor first base if you left click / click on the escape key and thus you can start the timer whithout a base, not sure if it is intented. Other : Alt-Tabing works perfectly which is amazing ! All in all it's great for a first build ! Going to intercept and play a mission now, very excited ! I consistently have a CTD in the geoscape on day 4 at 16:00. But only if I do all the research as soon as it comes up and start the engineers on 1 laser rifle and 1 profitable goods immediately after the laser weaponry research is finished. If I hold off the engineering a bit or just do the laser rifle there is no CTD and I can play until the game time expires. Also I regularly receive some null reference error messages during combat, seemingly with no further averse effects. Graphics look good with no artifacts. Tested on fast and fantastic. My specs: Win10, 32GB RAM, I7-4770K, GTX970, 2560x1440 monitor. Thanks for your help. I've downloaded the save file and given it a test and those crash sites are crashing for me too - no idea what's causing it but that save file should allow us to debug it much more easily. I've tried to reproduce the crash with the air combat against the Probe though and I can't get it to happen. For the Geoscape CTD, can you try unassigning all your research and workshop projects and see if you still get a crash? If it's happening at a regular time it's most likely to be caused by a project finishing or a building finishing etc. 1. I can save game and it shows in the Load Game screen while I'm in game on the Geoscape, but when I get to the Main menu. there are no Games to Load in the Load Game screen, but Continue button is functioal and loads my last saved game. 2. When I Quit a game from the Geoscape, that I previously saved exited and continued from the Main menu, and select Quit to Main menu option the game crashes. Had a CTD when launching first mission (against a Scout, specifically.) Only unusual thing I can think of is that I stepped up the game speed to the second notch immediately before the transport reached the mission site. I had previously had 2 aerial encounters with this same UFO - one ended with my plane shot down and the other (using a new plane) with the UFO going down. I can also confirm that 2 monitors work fine as long as the resolution is at 1920 x 1080. Possibly useful info there: I'm on Win10 with a single 6 MB Nvidia GTX 1060 graphic card and the most recent driver installed. Regarding the cursor / item being out of sync, you mean when you start dragging it the item isn't appearing on your cursor? We had that issue a couple of days ago but I thought we'd fixed it; it's tied to screen resolution. If that's the problem I'll ask the coders to check the fix again. I have had two crashes so far. The first was when I was breaching a very small UFO probe, with a soldier equipped with a shield. The shield got shot, and the game crashed. I had also blown up a wall of the UFO. The next crash occurred right after, as I launched the game for the second time. Thanks. I'm not surprised the combat shield is crashing actually, I don't really use them myself so they've probably not been tested that thoroughly. I'll have a play with them tomorrow and see if I can reproduce a crash. Thanks. I think there might be a crash related to the project queue, so I suspect you won't have any problems if you just do the projects one at a time without using the queue. I'll do some testing tomorrow. Thanks, that's a detailed and very useful post. I'll go through it properly tomorrow.